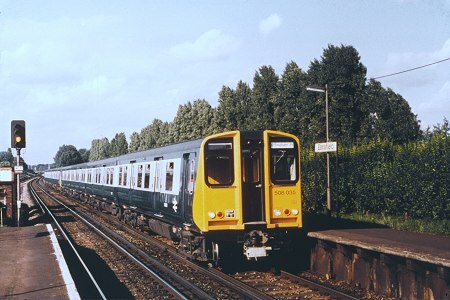 508035 approaching Earlsfield on an Effingham Junction service on 31st July 1980. 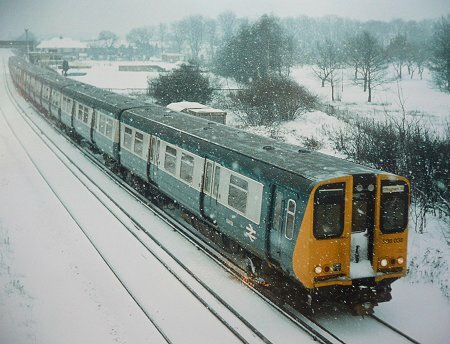 Battling against the weather, 508038 at Ashtead, also on an Effingham Junction working, on 10th January 1982. 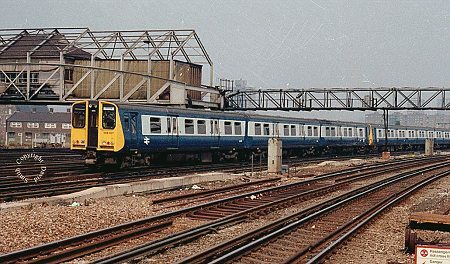 With its days numbered in the south and already reduced to three cars, 508037 approaching Clapham Junction on 15th August 1984 on a Dorking service.